1.For best performance, remove the protective cover and place the device in the correct position of the wireless charger. 3.Using your device while charging or misaligning the device and charger may cause higher temperatures. Faster Wireless Charging：Fast Charge Mode enables wireless charging up to 2⨉ faster.Note: Remove protective cases to ensure effective charging. LED Indicator Lights：The LED is on for 4 seconds and then goes off indicating that it is ready for charging.Blinking lights mean an unsupported device has been detected. 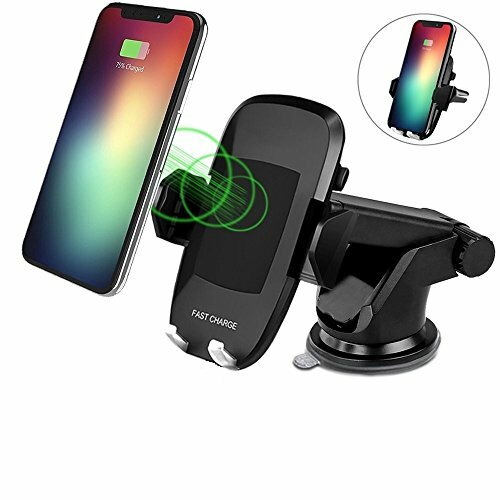 What You Get: Wireless Car Charger , 3ft Type-C Cable, Air Vent Stent ,Desktop Stent，User Manual ,welcome guide, our worry-free 12-month warranty and friendly customer service. If you have any questions about this product by BAMAN, contact us by completing and submitting the form below. If you are looking for a specif part number, please include it with your message.